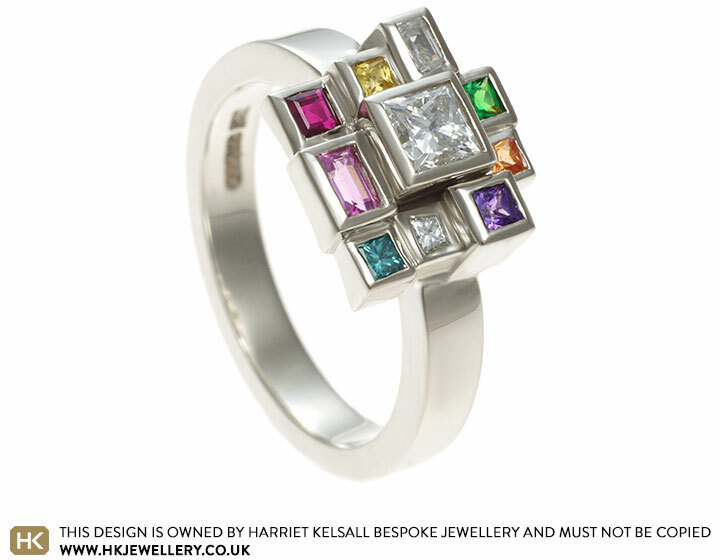 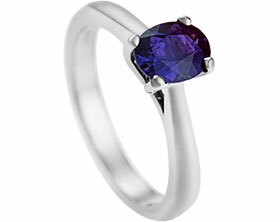 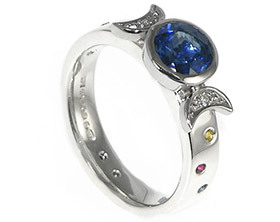 This dramatic ring is a splash of colour. 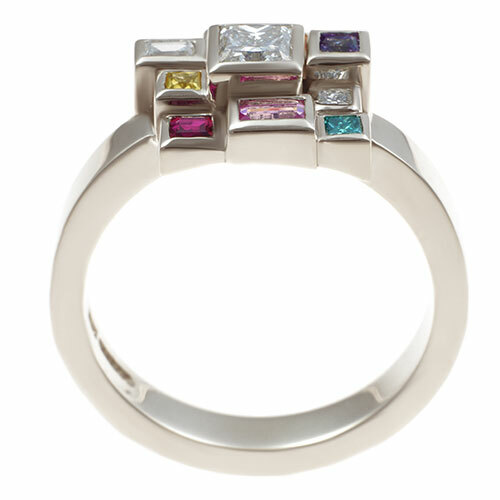 It has a central 3.5mm 0.33ct HSI princess cut diamond in an all around setting. 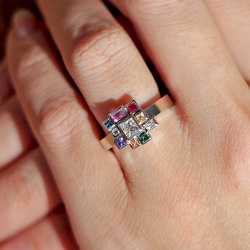 Around the central stone are: a 2mm princess cut ruby, a 1.5mm blue sapphire,a 1.5mm green sapphire, a 1.5mm purple sapphire, 1.5mm orange sapphire, a 1.5mm yellow sapphire a 1.5mm H SI diamond, with a 3 x 2mm baguette pink sapphire, a 3.2mm x 1.8mm pink baguette sapphire and a 2.4mm x 1.4mm HSI diamond baguette, totalling 0.66ct. 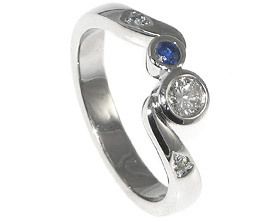 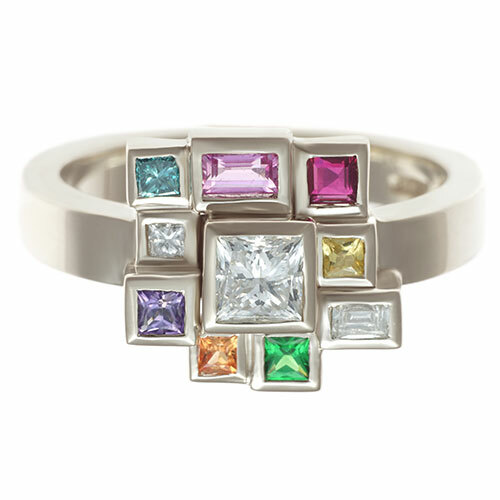 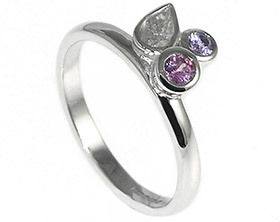 The array or multicoloured gemstones are mounted in all round settings. 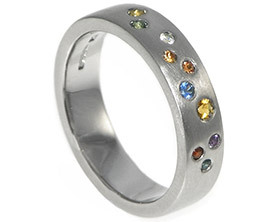 The rhodium plated 9 carat white gold 3mm wide band has a polished finish to add even more sparkle to this outstanding design.